Teddy Wendover is a hulking twenty-eight-year-old with the mind of a child. An accident at eight left him severely retarded. But did it turn him into a cold-blooded killer? Someone has bludgeoned Oregon congressman Harry Knecht to death. Knecht was the man who organized the ill-fated field trip that led to Teddy’s injury. Two more murders convince defense attorney Barbara Holloway that there’s a broader circle of guilt. 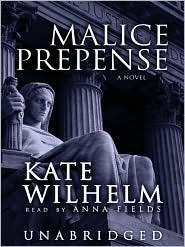 Before staging a dramatic courtroom performance, she must sift through dead ends, hearsay, and veiled clues–only to discover that truth is more dangerous than speculation . . . .
Malice Prepense is the third in the Barbara Holloway series I’ve read or listened to. I like the series overall. Barbara is an interesting woman, full of contradictions, and her father is just a solid, good, intelligent man. They are both lawyers, although her father seems to be on the verge of retiring. In this one, they take on the case of Teddy Wendover, prove before it hits trial that he couldn’t have done it, and then end up defending his father, the next one accused. “Malice prepense” refers to the predetermination to do an unlawful act, esp to kill or seriously injure, which is what the accusation is. Anna Fields is the reader and was the perfect choice. She is Barbara in my mind, her voice just fits. She does a good job with the other characters, both male and female. She lets you see the moments of humor and the moments of sadness. She also keeps it from turning too cheesy or stereotypical in parts. I like the mystery. There are clues, both true clues and planted ones, and several reasonable suspects. As the reader/listener, we believe the Wendovers are innocent, but the evidence is pretty compelling. We know that people’s stories changed and who was telling the truth, but the jurors don’t. Then come the courtroom scenes, where Barbara tears it all apart. This one definitely focusses on the story as a court case, though, rather than a straight-ahead mystery. We do get the “whodunnit,” but it’s almost an after-thought. My one complaint is the romance. I could have done with out it. Barbara lost the love of her life in book 1, but here she meets and too quickly falls for a secondary character. I could have done with out the mooning over him or the sleeping with a rock he gave her. Alright, I have a second complaint to, her irrational fear of “those crazy people,” including the developmentally disabled. Granted, through the story she grows in that aspect, but it bothered me nonetheless. I’ll definitely keep reading the series, though. 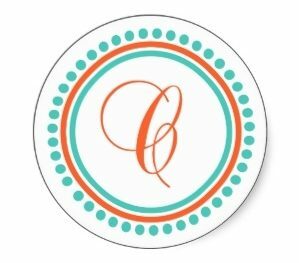 I like how Barbara finds connections in events and people that lead her to the solution. I don’t like romance in a mystery either. Other than that, the book sounds great! Sounds like a good one, and like it could do without the romance part.